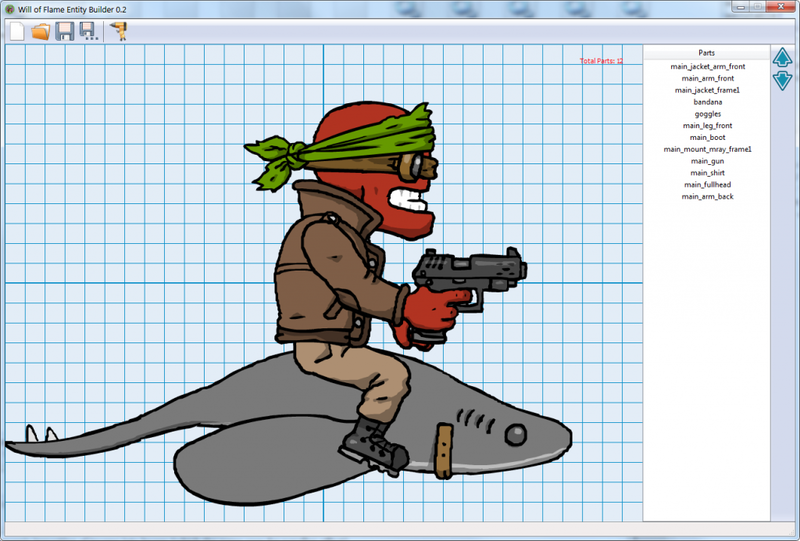 Dynamic importing of images into layers (which the game uses for parallax effect). These images can be selected from the selection menu, which includes a preview, then dragged and dropped onto the level. Exporting of scenario information into a game-readable XML. 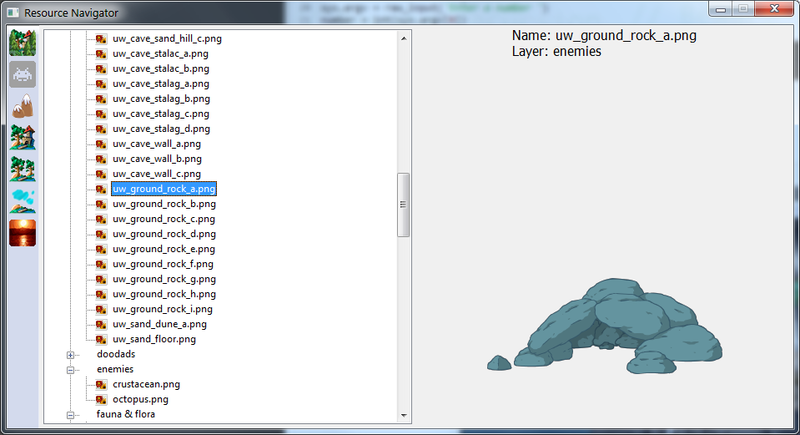 Exporting of background tiles, which make background rendering and saving much more convenient and efficient. Sprite software such as TexturePacker makes this importing and packing easy. 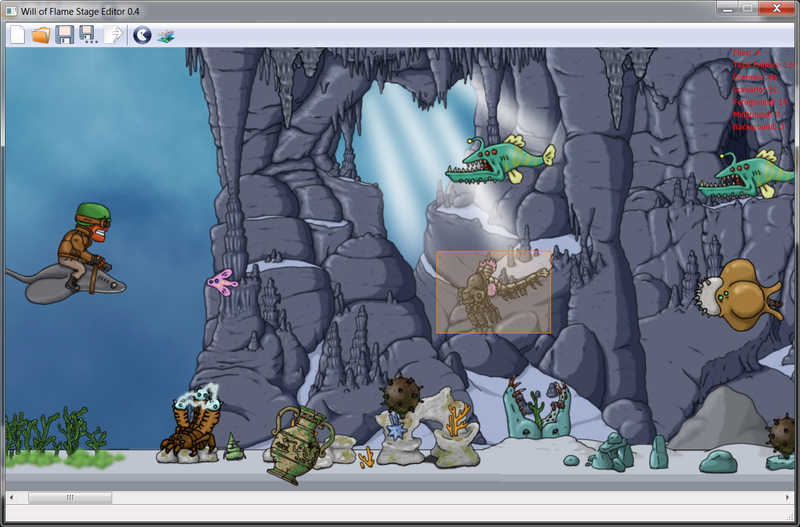 Moving and rotating of game entities into the game, such as enemies, scenario interactive elements, and non-interactive background elements. Can also hide or disable selection of layers to prevent misclicking. Several shortcuts. Ctrl+R enables rotation. Delete/Backspace deletes entities. Ctrl-Z restores deleted or moved entities. Arrow keys move entities slightly. The editor requires several external libraries, so here is an executable for Windows that comes with everything included (Mac and *nix users shouldn’t have trouble installing new libraries through the console, and Python normally comes preinstalled in new systems). The executable comes with a test scenario, test.scn The source is also included. The Will of Flame Entity Builder is a way to create complex entities made of parts, which are then loaded into the game behaving as a single entity. It was intended to create the hero for Will of Flame, and to create more complex final bosses.